WARSAW – The recent two-day summit of the North Atlantic Treaty Organization has changed Central-East Europe’s security structure. For the first time ever, the 28-nation defense alliance decided to create a permanent military presence in Poland and the three Baltic states – Lithuania, Latvia and Estonia. A roughly 1,000-strong battalion will be installed on a rotational basis in all four countries which share a border with Russia. All four are especially wary of potential Russian threats since Moscow’s illegal 2014 annexation of Ukraine’s Crimean peninsula. “These battalions will be robust and they will be multinational. They make clear that an attack on one ally will be considered an attack on the whole alliance,” NATO’s Secretary-General Jens Stoltenberg, a Dane, told a press conference during the summit. The US will deploy a some 1,000-strong battlegroup in Poland, Germany is to lead its battalion in Lithuania, Britain in Estonia and Canada in Latvia. Other nations such as France and Belgium will provide troops as well. Under a separate US-Polish agreement, President Barack Obama is also sending Poland a 3,200-strong armored brigade, and several hundred GIs will also man the anti-missile installation on the country’s Baltic coast. As a result, not 1,000 but a total of close to 5,000 NATO troops will be there to assist Poland’s own 100,000-strong armed forces in case of need. But the Warsaw Summit’s decision fell somewhat short of Polish hopes for permanent NATO bases in Poland. The Alliance had to bow to pressure from those NATO countries for whom such victims of Russian aggression as Ukraine and Georgia are remote hinterlands or fear that excessively antagonizing Moscow would be “bad for business”. Hence, the formula “rotational troop presence” rather than “permanent bases” was used. Russia’s aggression in Crimea and eastern Ukraine has clearly revised the previously pro-Moscow orientation of Barack Obama who scrapped the Bush-era missile-shield project in Poland so as not to offend the Kremlin, called Putin “a true democrat” and tried to warm relations with Moscow. Now he supports continued sanctions against Russia and describes Poland as “one of the pillars of NATO’s eastern flank.” He also thanked Poland for assisting and supporting Ukraine. 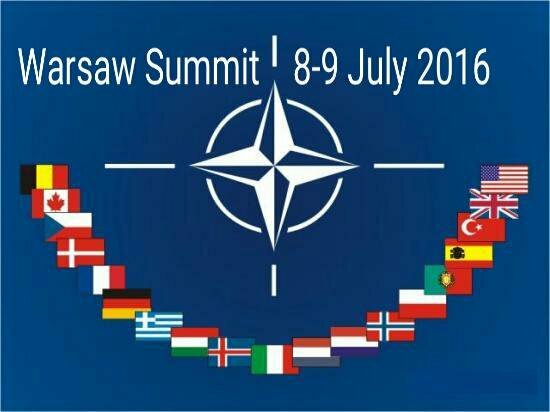 The Warsaw Summit also deliberated over such matters as the refugee crisis, the ISIS threat and the war in Syria. It agreed on aid packages for Afghanistan and Ukraine, and outgoing British Prime Minister David Cameron said Brexit would not cause the UK to turn its back on NATO. These and other issues were hammered out at Warsaw’s ultra-modern National Stadium which had been turned into an impregnable fortress for the two-day event to ensure the security of some of the world’s top leaders.